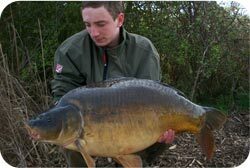 When you visit Oak Lakes Fisheries you'll have the opportunity to hook some amazing fish. 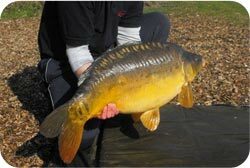 We have some of the best and most lively day ticket fishing lakes in Essex, where you can fish for varieties of Carp, Tench, Roach, Rudd, Perch, Bream, Gudgeon, Catfish and Pike. Well away from busy roads, Oak Lakes Fisheries provides peaceful fishing spots and carp fishing lakes with secure parking, unisex toilet and shower facilities, well-maintained swims and disabled access swims available. The site offers 40 acres of tree-lined lakes with Monkjack deer, rabbits, hares, woodpeckers and kingfishers among the natural wildlife – so there's plenty to look at whilst waiting for that tug on your line! Discover some of the best fishing in the area and, as the saying goes "You'll be back!"